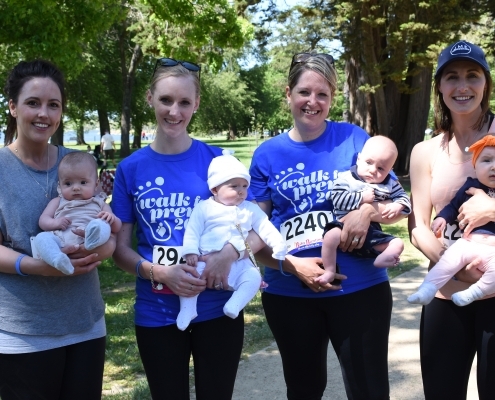 On Sunday 28th October families across Australia will walk together in support of the 48,000 premature or sick babies born in Australia every year. 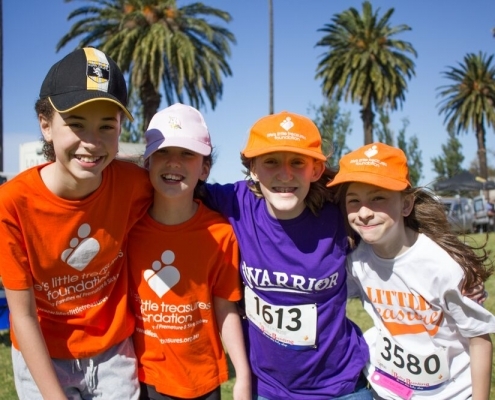 In its 9th year, Walk for Prems will take place simultaneously in Melbourne, Sydney, Brisbane, Adelaide, Hobart, Canberra and Perth – as well as regional locations such as Cairns, Townsville, Ballarat, Goulburn Valley and Gippsland. “Premature birth is on the rise – now about 8% of births compared with 6% in the past. There are many reasons for this. They include increasing maternal age, more multiple pregnancies with assisted reproduction, higher rates of maternal diabetes and obesity to name a few. Being born premature (before 37 weeks) is a significant event for not only the baby or babies but also the family. Most families are not expecting or ready for a premature baby and thus many more families are needing the support that LLTF can provide. Prematurity can cause significant financial, emotional and psychological hardship to families and is associated with significant rates of stress and mental health issues for families particularly if they have no supports”, said Dr Simon Fraser, Chief Medical Officer and Senior Paediatrician, Latrobe Regional Hospital. 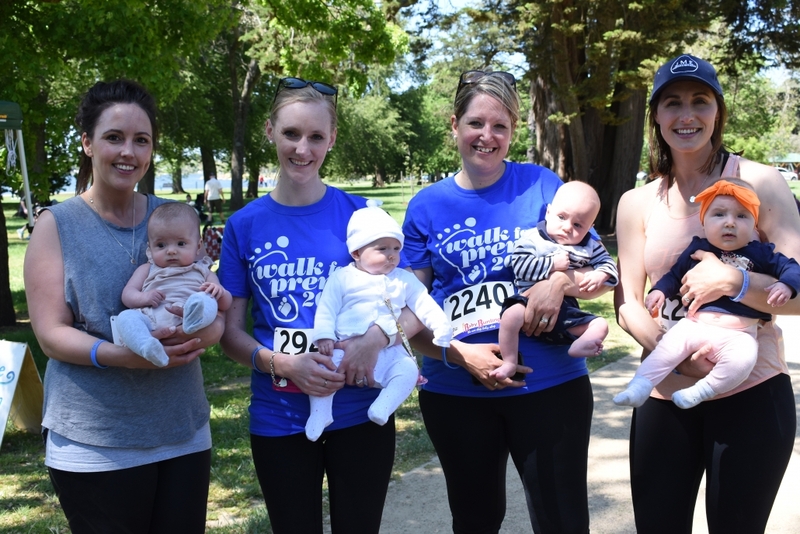 On Sunday 28th October Walk for Prems 2018 will open at 8am in Cairns, 8.30am in Townsville, 9.00am in Melbourne and Brisbane, 9.30am in Adelaide, Canberra, Perth, Sydney and Hobart and 9.30am in Ballarat, Gippsland and Goulburn Valley. Registration costs $27 for adults, $15 for children and $8 for babies in Adelaide, Brisbane, Hobart, Canberra, Perth and Sydney. After the walk, participants can relax and enjoy a range of children’s activities including music, a jumping castle and face-painting. Well known acrobatic entertainers the Trash Test Dummies will be appearing at the Melbourne walk. Brisbane: Michelle & Tom Worthington, Michelle is an internationally published award-winning author of empowering picture books for children of all ages, who has written a book for families of a premature baby called “My Brother Tom”. Her gorgeous three year old Little Treasure Tom was born premature at 28 weeks, weighing 1350 grams. Michelle was the recent recipient of the 2018 AusMumpreneur Award for Business Excellence as a scholarship holder and graduate of the Women’s Business School. Melbourne: Rusty Benson, Director, Raine & Makin. Dad to Jack and Juno. Jack, Rusty’s first child, was a late preterm baby who spent the first 10 days of his life in NICU back in 2015. Since this challenging start, he is always open to sharing his experience to hopefully help others feel connected and not alone in theirs. Melbourne: Dr Simon Fraser, trained in Neonatology at the Mater Hospital for Women in the late 80s – early 90s and practiced as Staff Neonatologist at the Mercy Hospital for Women from 1993 to 2005 and then in various Special Care Nurseries in Gippsland until 2016. He currently runs a small private practice in regional Victoria with a particular interest in premature babies. He also sits on the board as Director of one of the Victorian regional health services. Melbourne: Monique Mastrobattosta, ex prem born at 25 weeks in 2003, weighing 665grams. Spent 3 months in NICU and Special Care. Now a published author and social media influencer. Sydney: Matt Levy OAM, Australian Paralympian Swimmer & Bronze medal winner at the Rio 2016 Paralympic Games. Matt has vision impairment and cerebral palsy due to being born 15 weeks premature. He competed in his first Paralympic Games at Athens in 2004. 1. According to Hilder L, Zhichao Z, Parker M, Jahan S, Chambers GM 2014. Australia’s Mothers and Babies. Perinatal statistics series no. 30. Cat. no. PER 69. Canberra: AIHW. 2. It is an insurance requirement that all participants be registered for the event, including babies. 3. 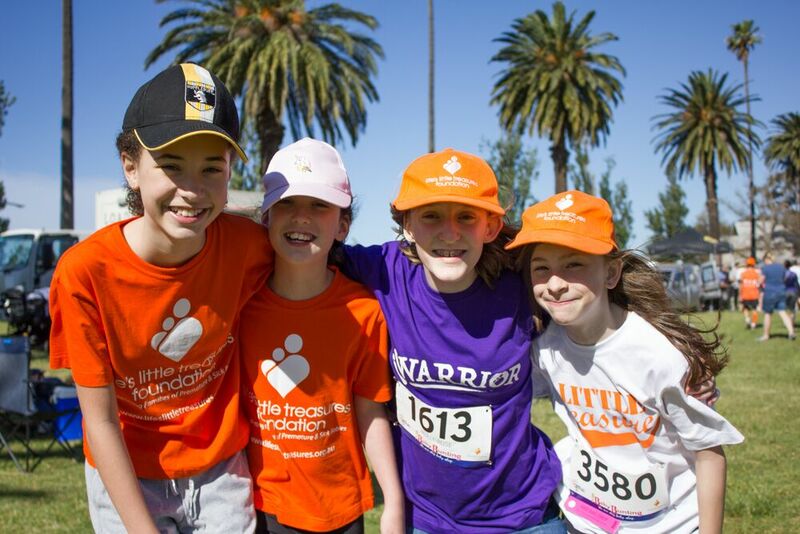 The Melbourne Walk for Prems includes more entertainment and children’s activities than other walk locations.